Language brokering, whereby children of immigrants provide informal translation and interpretation for others, is considered commonplace. However, the research evidence remains inconsistent concerning how language brokering relates to the psychological health of child language brokers and their relationships with their parents. Furthermore, few studies have examined the familial context as an explanation source. 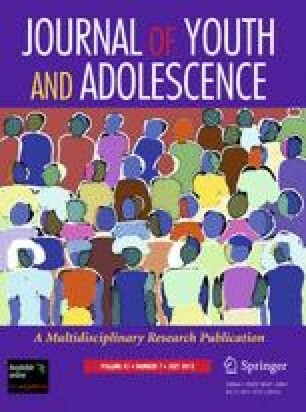 This study evaluated the moderating effects of adolescents’ support of family obligation values and their perceptions of parental psychological control on relationships between language brokering frequency and both adolescent psychological health and parent–child relationship quality. Adolescents from 182 immigrant Chinese families residing in Canada (average age 15 years, 52% females) reported the frequency with which they translated or interpreted various materials for their parents. More frequent language brokering was associated with poorer psychological health for adolescents who held strong family obligation values or who perceived parents as highly psychologically controlling. More frequent language brokering was also associated with more parent–child conflict. Contrary to some past findings, language brokering frequency was not significantly positively associated with self-esteem or with parent–child congruence (i.e., levels of understanding and satisfaction with parent–child relationships). The findings are discussed in relation to their support for theories of parent–child role reversals or independent-interdependent scripts in language brokering. Canadian Council of Social Development. (2001). Demographics of the Canadian population. Retrieved December 19, 2008, from http://www.ccsd.ca/factsheets/demographics/index.htm. Trickett, E. J., Sorani, S., & Birman, D. (2010). Towards an ecology of the culture broker role: Past work and future directions. MediAzioni, 10. Retrieved from http://www.mediazioni.sitlec.unibo.it. Wang, S., & Lo, L. (2004). Chinese immigrants in Canada: Their changing composition and economic performance. Policy Matter, No. 10, produced by the Joint Centre of Excellence for Research on Immigration and Settlement—Toronto (CERIS). Retrieved from http://www.metroplois.net.